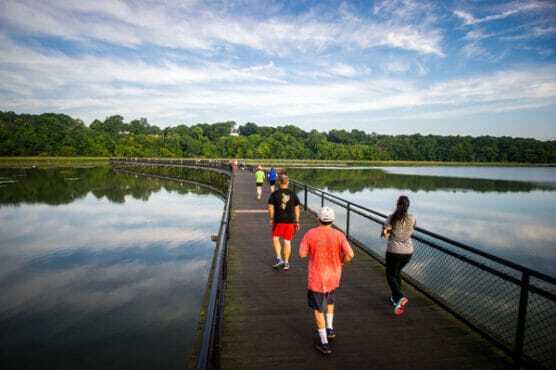 Set for its 10th annual running in the Rochester area this spring, this race is part of a weekend filled with race events that also includes the River Challenge Duathlon and the River Challenge Paddle Triathlon on Saturday, followed by the 13.1-mile race and the 5K on Sunday. 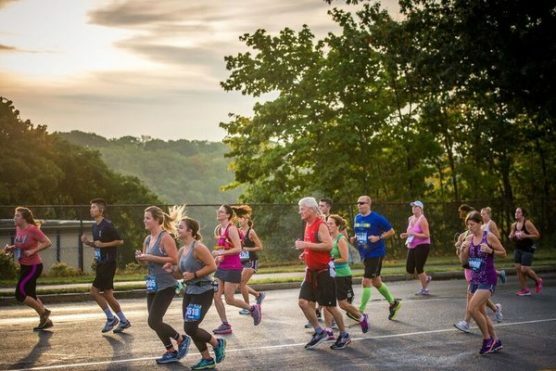 The races are all part of what the event organizers call the Flower City Challenge, named for the city’s legacy as a center of flower growing, plant nurseries and gardening dating back to the 19th century. That legacy is carried on today with Rochester’s annual Lilac Festival, which draws an estimated 100,000 visitors each year in May to see more than 400 varieties of lilacs in bloom around the city. 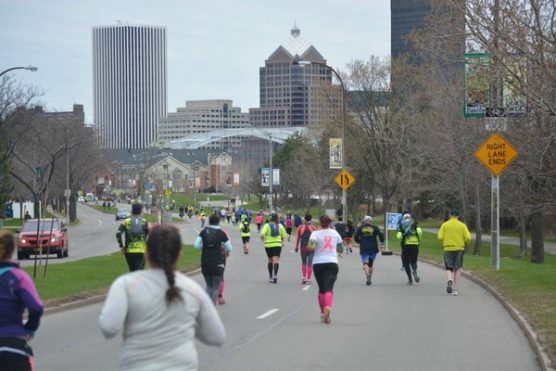 The course for the half marathon — officially titled the Rochester Regional Health Flower City Half Marathon — takes runners on an out-and-back course that starts and finishes at downtown Rochester’s Blue Cross Arena, which looks out onto the Genesee River flowing through the city. 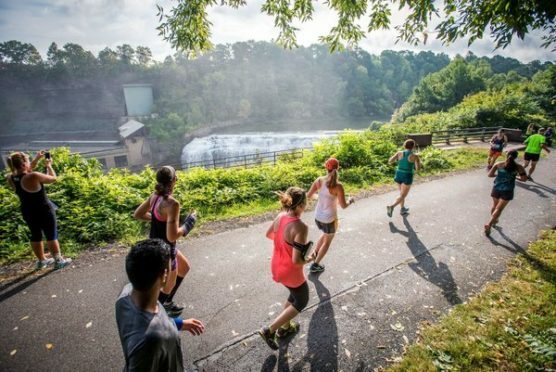 From there, the course will take runners along downtown city streets as well as through its most scenic neighborhoods and historic areas, and will finish back downtown at the river. On the day of the race, the event is scheduled to kick off with the start of the half marathon at 7:30 AM and the Wegmas Family 5K race at 7:45 AM, followed by post-race festivities and food at the finish line. Located just a few miles south of the shores of Lake Ontario in western New York State, the city of Rochester typically experiences mild to moderately cool and sometimes cold weather conditions in April, which has brought record temperatures here as low 7ºF (in 1923) and as high as 93ºF (in 1990). On race day (April 28), the average low is 41ºF and the average high is 62ºF. See the race route map for the Flower City Challenge Half Marathon here. 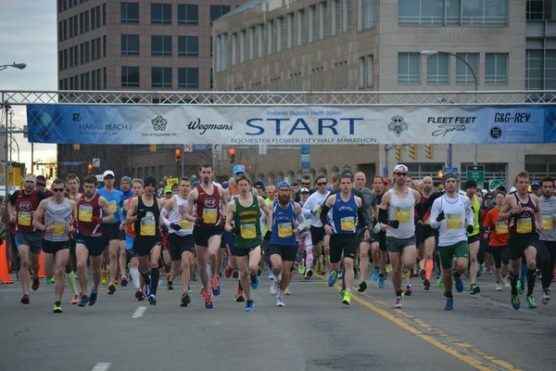 To reserve your spot in the 2019 running of Rochester’s Flower City Challenge Half Marathon or Wegmans Family 5K race, register online at RunSignUp.com here. Ever run in the Flower City Challenge? Share your impressions here, or post your review in the Comments below.